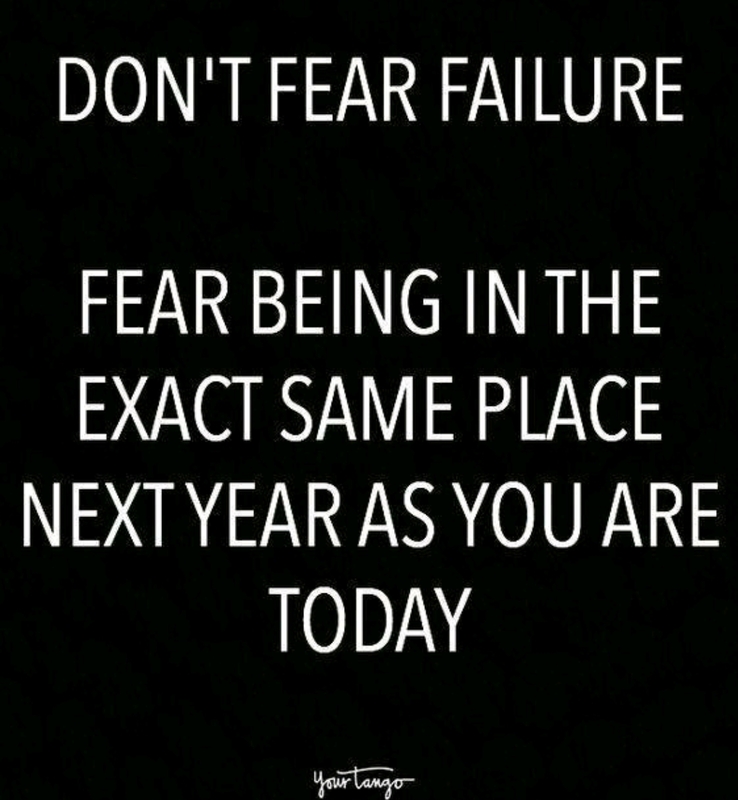 fear | Go, Leader, Grow! In his book, The Slight Edge, Jeff Olson talks about the ability that each of us has to grow just 1% each day. To get better in incremental steps. Do you believe that? It is possible. I am continually amazed by my children. They love to push themselves and seem to excel in things that they do. Believe me, they are not perfect in any way. But their resilience encourages me. 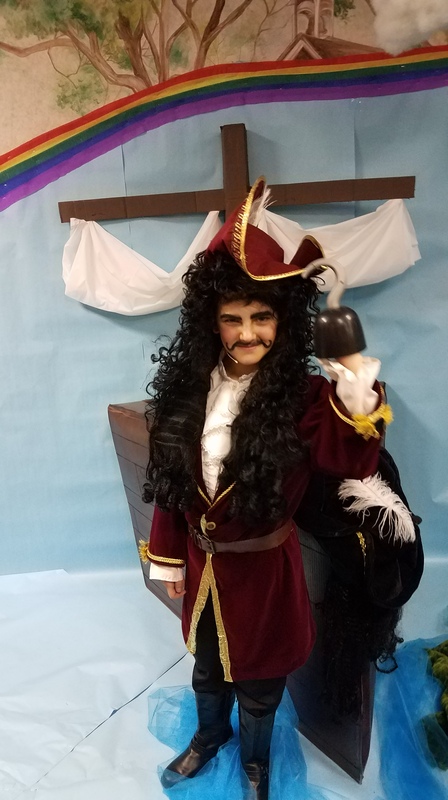 Last night my 5th grade son performed the role of Captain Hook and his school’s musical Peter Pan, Jr. Around Thanksgiving when he tried out for this part, I will admit I was surprised. He has typically been very shy. But he wanted to go for it. Perhaps it was because his sister had a leading role in Shrek the Musical a couple of years ago. Regardless he went for the part he wanted and he earned it. 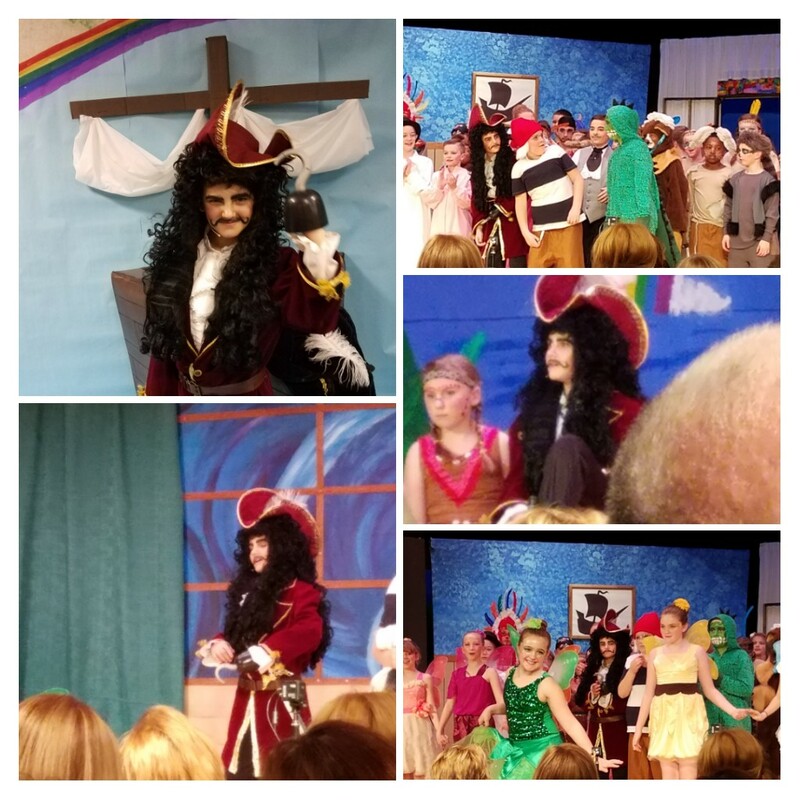 Last night our elementary school hosted its 36th annual Music Theater. There were a couple of hundred people in the audience. And right before the performance my son got stage fright. I reminded him of an incident in baseball last year where he was feeling the same thing about pitching. I reminded him that he faced that obstacle and was able to overcome it. I told him I believed he could overcome this, too. His teacher later told me that she also used baseball as a way to encourage him. The third scene he was on stage again, he did great. 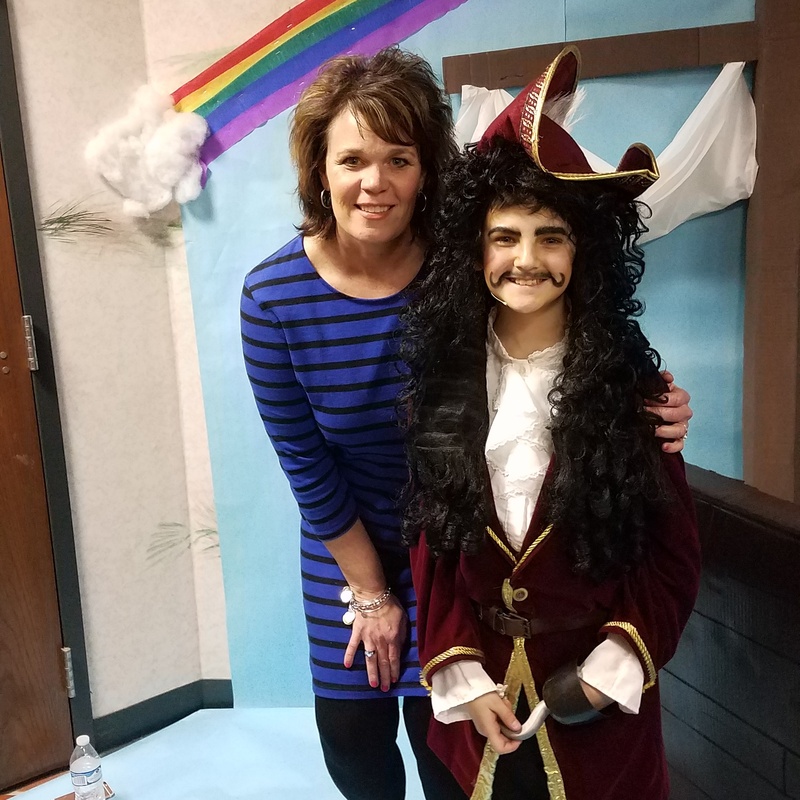 When he walked off stage, his teacher told me later that he looked at her and said, “I’ve got this.” He went on and had a great performance. I am so incredibly proud of my son who faced an incredible fear – the fear of speaking in public, performing, of being vulnerable in front of people he knew and people he did not know. And yet he faced his fear, and he beat his fear. There is a lesson in this for all of us. Personal growth comes when we face our fears head-on. When we step out on that stage and go for it. When we have mentors and coaches who encouraged us along the way. When we realize deep inside that we can do it. What fear are you facing today? Get with your coach or mentor and let them encourage you. And then jump up on that stage and dazzle yourself and others! As leaders… self-talk is important. We must listen to our inner voice. But what if our inner voice gets scared…and wants to grab the mic? What if our inner voice wants too much affirmation? What if our inner voice needs excessive feedback? Can an extraverted inner voice get in the way? – Why do some people tell us to stop listening to them before they even start talking? – Why do we add last-minute self-deprecating remarks into our carefully rehearsed speeches? – How do we get people to listen to what we most need them to hear? – How do we sound humble, but confident? It happens in interviews, presentations, sales calls, athletic events, cattle drives… People pre-apologize for what they are about to say. They tell us not to listen. Why Do We Undermine our own credibility at the very time we need it most? It was Dale Carnegie who said, “You can conquer almost any fear if you will only make up your mind to do so. For remember, fear doesn’t exist anywhere except in the mind.” A common fear among many people is the fear of public speaking. The idea of standing in front of an audience to persuade or present often causes worry and anxiety, but it doesn’t have to. If you can remember Dale Carnegie’s words about fear and follow the strategies below, you will overcome your public speaking fear in no time. In order to speak well in front of multiple people, you need to have your entire presentation planned out. Just as you would create an outline for a research paper, you should do the same for your presentation. You’ll need to support your ideas, so think of examples that you can use as evidence. Try to structure your thoughts in a way that makes sense, and create a sense of completeness with a beginning, middle, and end. You will need to practice your speech significantly in order to feel confident while speaking. Don’t wait until the last minute to prepare or you will not feel ready to present. Instead of trying to memorize every word, only memorize the key points of your outline and the examples you will be using for support. You want to be engaged, not robotic-sounding. Your speech should flow naturally, as if you were having a conversation with another person. The opening of your presentation will determine how the rest of the speech goes, so speak with assertiveness and at a volume where everyone can easily hear you. Try opening with a strong statement and bold language in order to convey confidence. Remember that the audience has no prior opinions or thoughts on what you are going to say, and you are the authoritative source in this situation. Throughout your presentation, it is important to make eye contact with individuals in the room. While you should not focus on one particular person for two long, it is okay to hold someone’s gaze for a few seconds. If you look at the floor or in a random direction, your audience will sense that you are not as engaged as you could be. Making eye contact lets your listeners know that you believe in what you are saying and that you are there to inform them about something new. 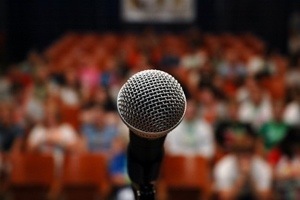 A beginner’s mistake when it comes to public speaking is to rush through the presentation. When you walk to the podium or front of the room, take a deep breath, look at your audience, and even count to five before starting to speak. It may feel like an eternity, but it will seem like a normal amount of time to the people in the room. Remember to speak clearly and annunciate your words. You should have a slight pause after commas and between sentences, and an even bigger pause between paragraphs or major points in your argument. Most people know that it’s important not to fidget during a presentation, but it’s also crucial that you limit your movement as much as possible. Slight swaying or talking with your hands can be just as distracting as ordinary fidgeting. Stand with your feet about shoulder width apart, keep your head up, and plant your feet firmly to the ground. It may feel awkward to hold this stance for a long time, but it will help you to stand up straight and look more confident while you speak. Remember: it’s okay to be nervous. In fact, it’s normal. Don’t worry about seeming nervous in front of others, since everybody in the room has had to give a presentation at one point and understands how you feel. If you make a mistake, that’s okay too. Just take a deep breath and pick up where you left off. Keep in mind that everyone in the room is looking forward to hearing what you have to say. This article was brought to you by Dale Carnegie Training, a company founded in 1912 by one of America’s most influential speakers and leaders. Today, the company offers corporate training and helps businesses and individuals achieve their goals. Visit http://www.DaleCarnegie.com today to learn more about management training programs.